Tips on how to make this soft fluffy dim sum at home. “A good ma lai gao should be soft, fluffy, but not sticky. 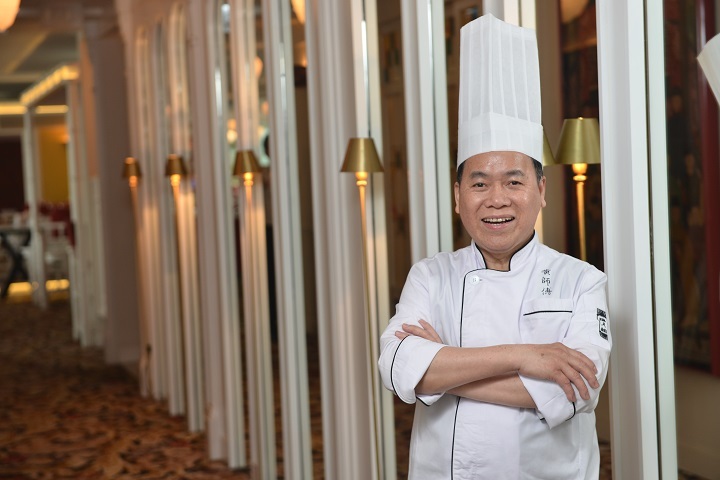 You can separate the great from the good from the skin - excellent ones should have Qilin pattern (similar to leopard stripes) on the surface, a sign that the cake is made by a seasoned master,” says Chef Wong Yiu-Por, executive dim sum chef in China Tang. Ma lai gao is ubiquitous in Hong Kong. 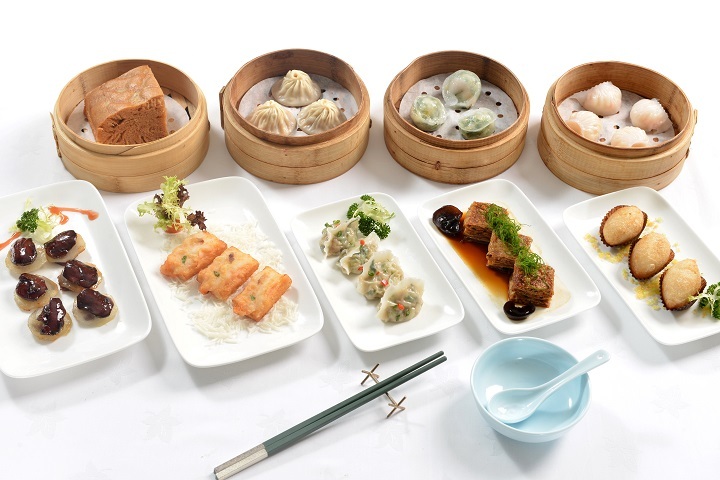 Listed on the menu in almost every dim sum restaurant, it is most enticing when served steaming hot - few can resist the humble yet comforting fragrance and flavour that come along with a golden skin and airy texture. The local favourite, however, could be invented outside Hong Kong. There are no shortage of its origin stories, but the most common one is that the cake originated from the British who brought their afternoon tea cakes to Malaysia. The Malaysians then changed up the sponge cakes, replacing milk with coconut milk, adding pandan leaves, and had them steamed instead of baked. Later, Cantonese chefs brought this modified cake to Hong Kong, took away the non-indigenous pandan leaves, and developed into this iconic cake with the name 'ma lai', meaning Malaysia in Cantonese. The local cake has recently gained global attention, thanks to CNN naming it Hong Kong's national cake, where tiramisu and black forest cake are named the same status to Italy and Germany respectively. Chef Wong, who have worked in dim sum kitchens for half a century, approves the accolade. The main ingredients of ma lai gao are pretty basic: flour, eggs, sugar, milk and levain (naturally aged dough). Making the levain presents the biggest challenge; if you are new to cooking, expect unsatisfactory first attempts. Some of you might be tempted to replace levain with baking soda, but Chef Wong does not recommend this shortcut. Each restaurant has its own recipe. "Restaurants have always adjusted their style according to their customer base. For example, those near the markets, where there are more blue-collar workers, make sweeter cake; restaurants in Central and Tsim Sha Tsui, in contrast, make them milder." One interesting habit in communal ma lai gao consumption is that people tend to choose the "rim" of the circular cake and avoid the centre. Why? "The centre is often the cake's thickest part, it probably is not as fluffy as the rim. Personally, I don't have a preference, I am happy to eat both." laughs Chef Wong. Nowadays you can find many innovative variations of ma lai gao: some adding corn for chewiness, replacing granulated sugar with brown sugar for health value, or even turning it into a sandwich cake by adding a layer of custard in the middle. However, if you like the original ma lai gao, here is Chef Wong's step-by-step recipe to walk you through the process right down to how to make levain. Combine 150ml water, 100ml beer and 500g flour, mix until dough is no longer sticky. Transfer dough to a greased deep pan, cover with a wet towel and another pan. Leave in cool, dry place for 24 hours for it to rise. Take half of the risen dough; add 150ml water, 100ml beer and 500g flour. Repeat steps 1 and 2. Compare dough that has risen twice with the first dough. If the second dough is more fragrant and softer in texture, fermentation is going well. Take half of the second dough; add 150ml water, 100ml beer and 500g flour. Repeat steps 1 and 2. Compare third dough with previous ones in the same way. If it's good, take half and add the rest of the ingredients. Repeat steps 1 and 2. Wrap the rest in cling film and place in airtight container. Put the container inside the refrigerator and let it age (it can last around 10 days). To use again, take out half of the stored dough. When it reaches room temperature, add 500g flour and 200ml water. Let it rise for 24 hours. Use 500g for Mah Lai Goh. Add sugar, custard powder, milk powder and flour into levain. Mix by hand. Whisk eggs and divide into 4 portions. Mix well after adding each portion, until sugar has completely dissolved and batter is smooth and slightly thick. Cover batter with a wet towel and pan, leave in a cool, dry place for 24 hours. Mix baking soda solution into batter. Heat 30ml of oil in another bowl (20°C-30°C) and mix with baking powder until smooth. Add rest of the oil. Pour baking powder mixture into batter and mix well. Line steamer with baking parchment and coat with oil. Pour in 1/3 of batter. Steam 20 minutes on high heat. We round up our favourite exquisite dim sum delights from 11 Michelin-starred restaurants in Hong Kong.